The report, with principal analysis from The Adam R Jacobson Editorial Services & Research Consultancy, also shows that radio reached Hispanic men and women equally strong – the medium attracts 97 percent of Hispanic men aged 45-54 and 96 percent of women aged 25-44. Radio was also a “weekend warrior” with Hispanic men and women, Arbitron research concludes, attracting an average 81 percent of adults 18-44 — higher than any weekday time period. •	Regional Mexican continues to lure the largest audience of Hispanic listeners. The format attracted more than double the audience of Spanish Contemporary, the No. 2-ranked format. •	Regional Mexican’s strength is with Hispanic men, many of whom are English-dominant teens and young adults who enjoyed the format as much as Spanish-dominant adults 35-44. •	Four English-language radio formats — Top 40, Adult Contemporary, Classic Hits and Country (thanks to its strength in Texas) —experienced gains in average quarter-hour share with Latinos between fall 2008 and spring 2010, the ratings period measured in Hispanic Radio Today. •	Spanish-dominant listeners – especially younger ones – like English-language formats. Teens gravitate toward Top 40 and rhythmic, urban blends found on “Rhythmic CHR” stations, like Power 96 in Miami and The Beat in San Antonio. •	Adult Contemporary is the top format for Spanish-dominant adults 35-44. 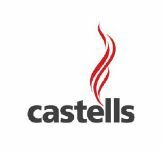 •	Classic Hits is the most popular format among Spanish-dominant adults 45-54. •	For Spanish-language formats, Regional Mexican was the second-ranked format among English-dominant adults 18-24. Tropical, featuring salsa and bachata music, was the No. 2 format with English-dominant adults 35-44. 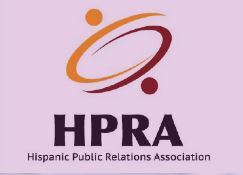 To download the 2010 edition of Hispanic Radio Today from Arbitron, click on the link.